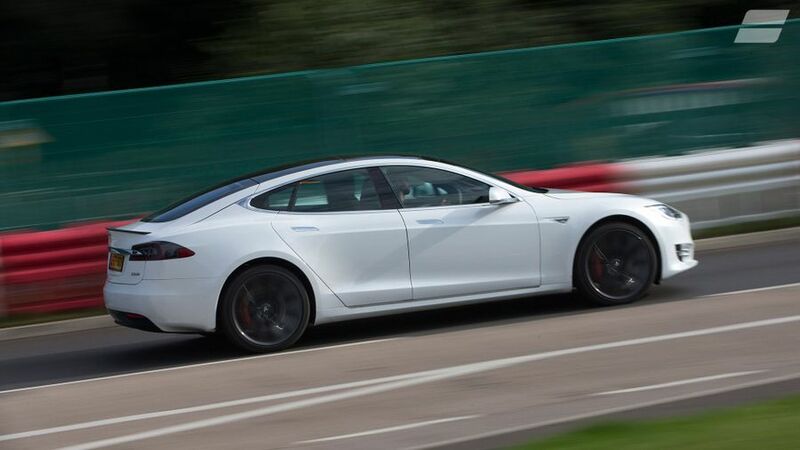 The Tesla Model S is an incredible achievement, and in a number of very diverse ways. The generous range makes it one of the only electric cars that many buyers could genuinely consider, the technology on board has to be experienced to be believed, and being both practical and fantastic to drive, it plays multiple roles with a polish that few other cars can match. Simply stunning. 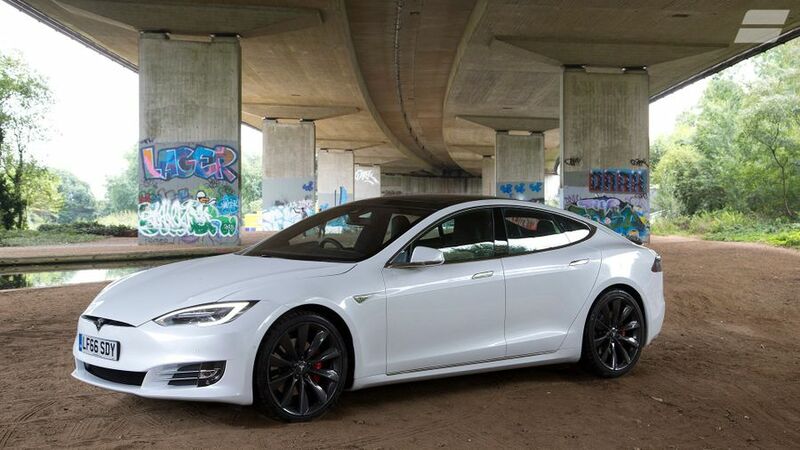 Interested in buying a Tesla Model S? For a car with such a radical powertrain, the design of the Model S lies somewhere between the curiously conservative and the borderline derivative. This will be a good thing for some buyers who like to remain low-key, but a disappointment for others who like to be seen to be green. On the plus side, the pop-out door handles offer some much-needed visual theatre and the super-slippery silhouette looks smart and also helps efficiency. Step into the Model S and there’s one thing that completely dominates the experience, and that’s the jaw-dropping 17-inch tablet display. This clears the dashboard of all unnecessary buttons; to the point, in fact, where there’s only one left, that’s for the hazard warning lights. As well as operating everyday things like the lights, sunroof and ventilation, the capabilities of the touch-screen include using a web browser to access real-time satellite-navigation data, streaming digital music services, as well as letting you post smug Facebook updates. Despite the many, many functions that the touch-screen has to deal with, it does so incredibly intuitively, making it very easy to find and use them all. The screen is also exemplary in its sensitivity, reaction speed and clarity; perfect for the pinch-and-swipe generation. You’ll notice a fair amount of switches lifted from various Mercedes models, giving many of the car’s major touch-points some decent tactility, but they perhaps aren’t of the quality you’d expect of such an expensive car. The same goes for some of the other materials, which are a little hit-and-miss in terms of plushness. Still, at least there’s lots of adjustment for the wonderfully supportive seats, and a decent view out. The Model S takes full advantage of the packaging opportunities afforded by an all-electric drivetrain. Despite the car's rakish silhouette, the under-floor location of the lithium-ion battery tray, combined with the absence of an engine, means the Model S can offer two large boots (150 litres up front, 744 litres in the back) and five seats, with the option of two additional rear-facing chairs that can be stored beneath the boot floor. The Model S is also one of the only electric cars on sale to boast a range big enough to allay the fear of 'range anxiety'. All versions should theoretically have a range of at least 200 miles, while the more powerful – and more expensive – versions do much better still. Granted, you’re still faced with a patchy municipal charging infrastructure in the UK, but things are improving all the time, albeit slowly. The Model S used to be offered with both rear-wheel drive and four-wheel drive (one electric motor to power the front wheels and one for the rears), but now, all examples of the Model S are four-wheel drivers. That's good news. These versions have immense amounts of grip, and if you even get close to breaking the adhesion of your tyres on a public highway, you’re being very naughty indeed and you should undoubtedly calm down. The Model S is a big, heavy car, due in no small part to the enormous battery pack on board. However, because it’s mounted in a low, central position, the car still changes direction with barely believable agility. Much of that’s also down to the clever air suspension, which alters its behaviour according to which of the driving modes you select. In any of them, though, it manages to combine sharp, involving handling with an impressively smooth and supple ride. The steering delivers nice, consistent responses, too, but you will find that selecting the sporty mode dumps a whole load of needless weight into it. High-performance electric cars have to be experienced to be believed; even if you’ve driven the most exotic of supercars, you won’t have felt a sensation of speed quite like this. Because an electric motor’s maximum torque – and, with any version of the Model S, there’s plenty of it – is produced the instant the motor starts spinning, any meaningful prod of the accelerator pedal results in exceptionally strong, all-at-once acceleration. Even the slowest Model S covers 0-62mph in less than six seconds, and at the top of the range, that figure is cut in half. What’s more, the car builds speed just as quickly when you’re already on the move. The range-topping versions have a little something extra up their sleeves, too. As an option, the P90D can be specified with an extra driving mode labelled ‘Insane’, while the P100D gets a ‘Ludicrous’ mode as standard, and these endow the cars with as much acceleration as it’s possible to muster. Even in the ‘weaker’ P90D, the acceleration is mind-blowingly explosive, to the point of feeling borderline unpleasant in fact. The car can feel a little squirmy under maximum throttle or hard brakes, too, but there’s no denying how impressive the pace feels. What’s even weirder is that the awesome pace isn’t punctuated by any gearchanges or engine noise; just a smooth, near-silent build-up towards Warp Factor Ten. 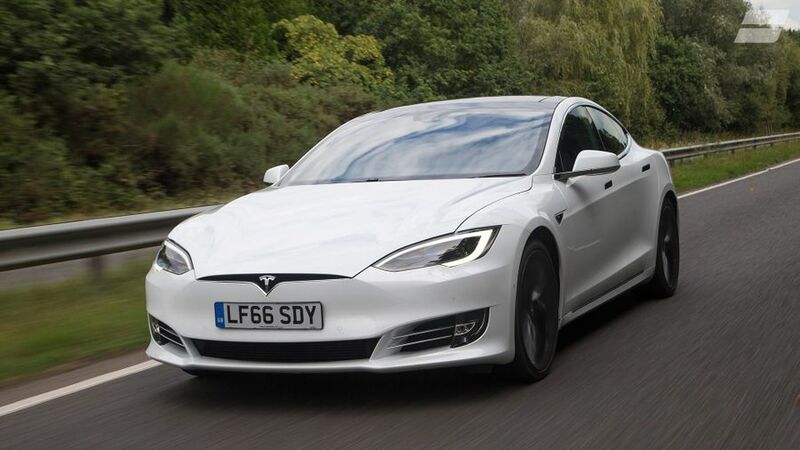 Being an electric car, the Government will give you a grant of several thousand pounds towards buying your Model S. However, with the vast amount the car costs to buy, this is unlikely to help you all that much, and you’ll still need very deep pockets to afford one. 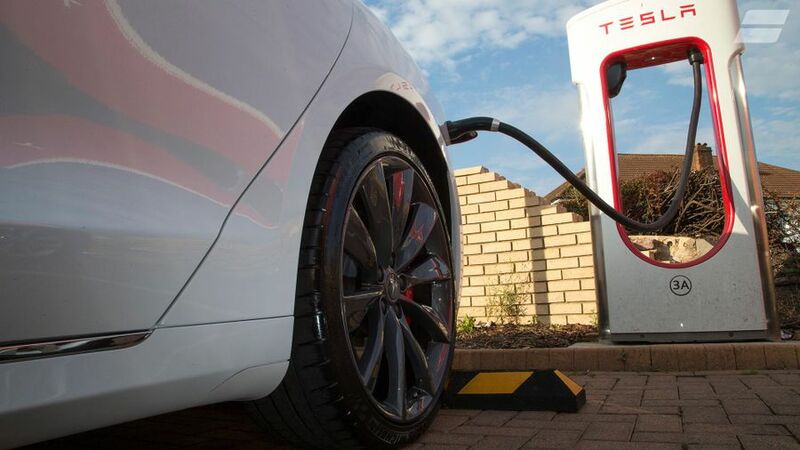 Obviously, you’ll never have to put petrol in it, and filling it with electricity will cost a fraction of the amount you’d otherwise spend on fuel, especially if all your charging is done exclusively at off-peak times when energy costs are lower. Servicing intervals are extended by the fact that many of the car’s necessary upgrades are made over the airwaves, much like your laptop updates its software, and this brings servicing costs down. The Model S – not to mention Tesla as a company – is too new for there to be much meaningful reliability data available. Take our owner reviews as a guide, though, and you won’t find a bad word said about how reliable the car has been. What’s more, the fact that many upgrades can be applied through software updates issued via the internet – rather than by a mechanic with spanners – means that some issues can be remedied quickly and without any inconvenience to the owner. The battery and drive unit are protected by an eight-year/unlimited-mileage warranty, while the rest of the car has a four-year/50,000-mile warranty. The Model S has achieved the full five-star rating in Euro NCAP crash tests, and comes with all the safety measures you expect, including six airbags and electronic stability control. Since that rating was achieved, however, Tesla has introduced more safety features to the Model S, including autonomous emergency braking. Enhanced AutoPilot is also available as an option, and this helps manage your speed according to the behaviour of other cars around you, implements steering inputs to keep you in your lane, and allows you to change lanes with nothing more than the flick of a turn signal. It operates more smoothly than the equivalent systems in many other cars, and this extra finesse instils more confidence that it can react quickly and effectively to changing situations. The standard kit on the Model S includes pretty much everything you’d also get on a ‘conventional’ car. That huge touch-screen includes functionality like sat-nav, DAB, Bluetooth and a high-definition parking camera. 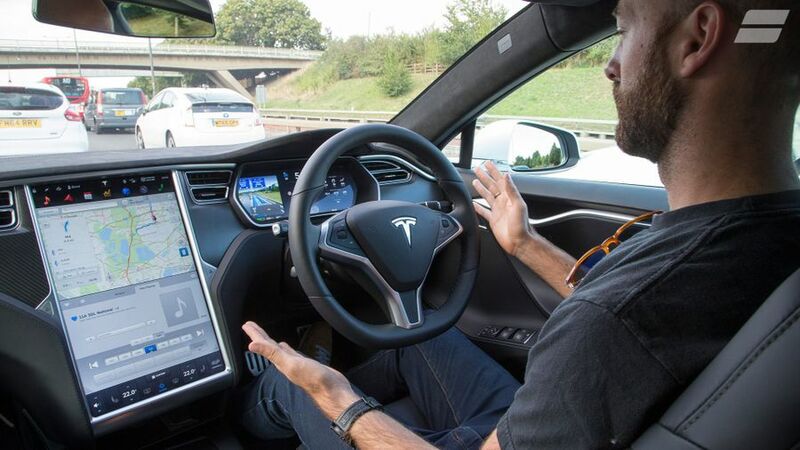 When you’re in the car, you can also use certain functions through voice control; and, when you’re not, others can be operated through a remote control mobile app. A powered tailgate and a 12-way electric adjustment for the heated seats are also standard, as is keyless entry. All sorts of other clever stuff is available from the options list, too, including the AutoPilot functionality (an advanced driver-assistance system that allows the car to drive itself to a certain extent) and an air-filtration system with a bio-weapon mode (yes, really!). It’s very easy to escalate the price of your car by thousands without really trying, so be careful when perusing the options list. The smart air suspension and two extra seats are must-haves, though. For a variety of reasons. Because you want a car that’s fast, fun, stylish and luxurious, but that also has the ability to seat seven people. Because you want to be an eco-warrior, and a really cool one at that, but you need a little more range than your average EV can muster. Because you want to reap the financial benefits of electric motoring and keep as much of your hard-earned as possible out of the hands of the exchequer. Or, just because you want the ultimate ‘device’. Whatever your motive, the Tesla Model S plays the role incredibly well, and with barely any compromises.